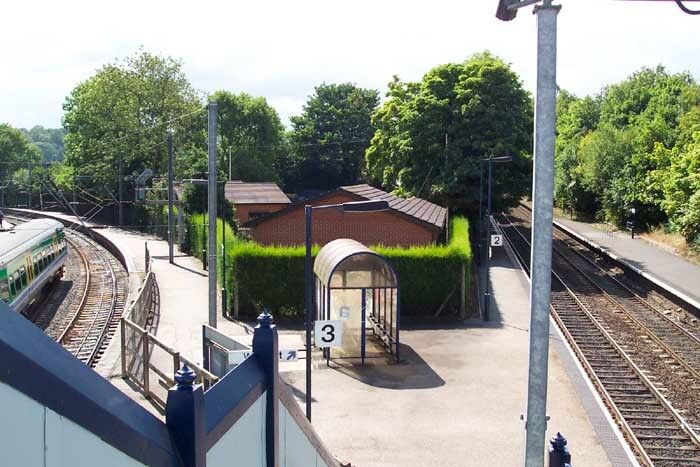 Above we see the entrance to Barnt Green Station from Hewell Road, August 2003. 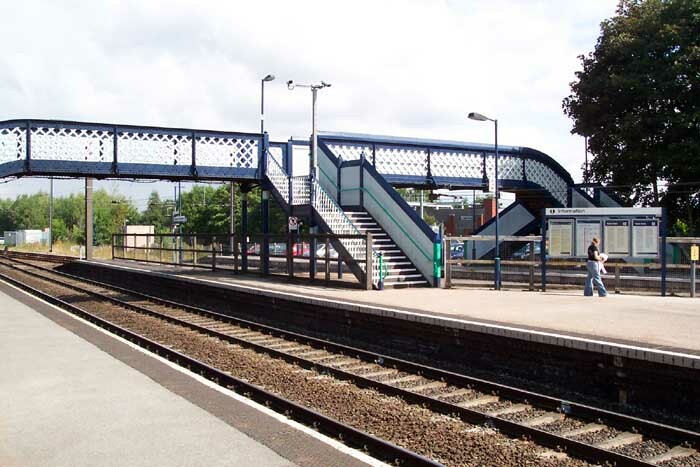 The Station was opened by the Midland Railway in 1840 and sits on the junction of the Birmingham to Bristol main line and its 'Barnt Green, Evesham & Ashchurch' branch. There have been major alterations to the station since nationalisation - all the station's buildings have gone and the station is now just an unstaffed halt. 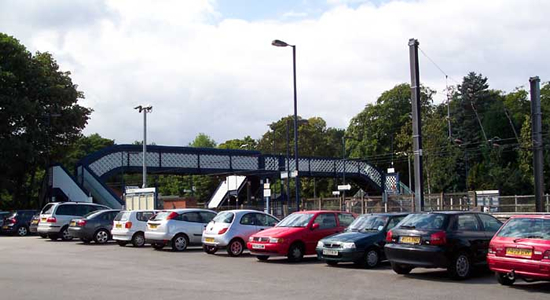 Above-left we have turned to our left upon entering the station from Hewell Road to face Redditch and can see the Redditch platform (platform 4) to our left and platform 3 to our right. There used to be a substantial station building just beyond the bus shelter but this has long-since been demolished. 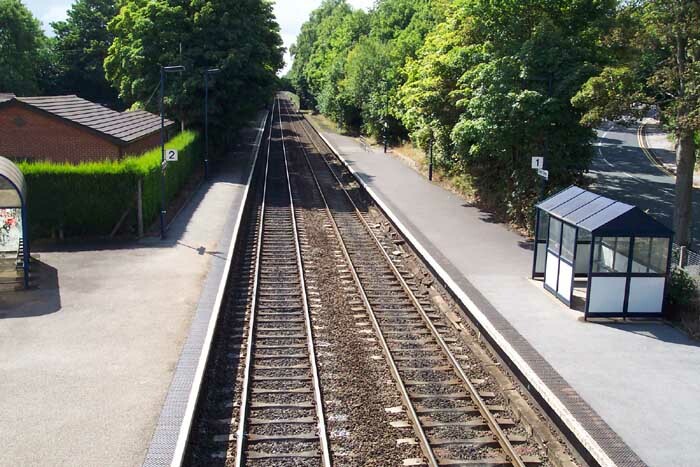 Above-right we are on the footbridge looking up the track between platforms 1 and 2 towards Bromsgrove via the notorious Lickey Incline: between this spot and the bridge in the distance used to be several platform buildings which have now been replaced by a single bus shelter! Note that these lines are not electrified. 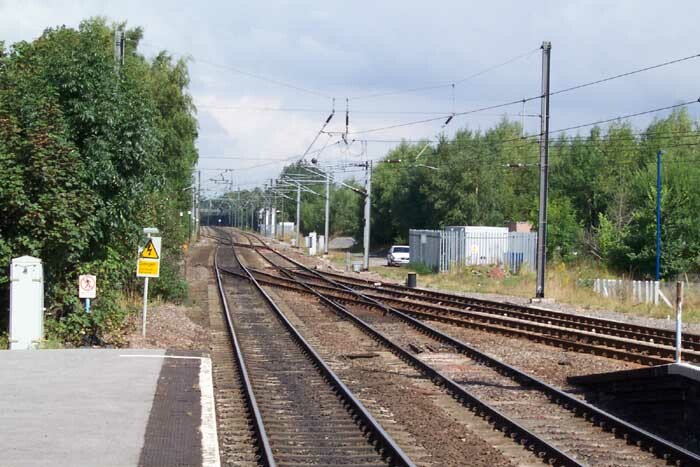 Above-left we are standing on platform 1 looking towards Longbridge - on the right just past the points used to be three goods sidings but these have now been lifted. Above-right we are again on platform 1 but several yards back from the spot in the previous picture viewing the footbridge and looking towards platforms 2,3 and 4 on the far side. Above gives a good perspective of the almost triangular layout of the station from the footbridge. On the right is the line to Bromsgrove and on the left a local service to Redditch pauses at platform 4 from Longbridge before heading down what becomes a single-track towards Alvechurch and onto Redditch.